60,000 people stand shoulder to shoulder. Roars so loud you can hear them for miles around. The final whistle blows, strangers hug strangers and people who may never see each other again, sing together. This is football in the United States, let me rephrase that, this is American football in the United States. The football most of the readers of this blog, know and love, is an afterthought in the USA, with most Americans still referring to the Beautiful Game as “soccer.” This is what it is like to be a football fan in the land where no one cares. Let me tell you why Americans, a people generally obsessed with sports, refuse to accept football. The answer is simple: no one in the country has any personal history with the clubs in the MLS (Major League Soccer). Think about this, I grew up minutes from the New Orleans Saints’ (my favorite NFL team) stadium, my father is a fan of the team and I started going to games when I was three, so therefore I am a fan of the team as well. More than a fan really, I love them, I almost feel like they are a part of who I am. Many of you probably have very similar sounding stories that reveal why you love the sports teams you love, but the fact is people in America don’t have these experiences with football. The other reason is that the actual quality of play in the MLS is so poor, it is almost unwatchable. Almost all of the football watching community in the United States watches the European game exclusively, because the actual product of American soccer is so bad. People will not embrace the game and share it with their children in this country, until the actual sport becomes fun to watch. Another problem is the timing of the season, MLS runs from March to October and while they avoid the brutal North American winters that plague the northern cities of Chicago, Foxborough, and Toronto, they catch the truly unbearable summers that scorch Dallas, Kansas City, and Houston head-on (it was 43 degrees Celsius here yesterday). This may be the reason why the comfortable mountain cities of Seattle, Denver, and Portland fill a respectable amount of seats where the southern team’s attendance dwindles. Yet another fault is that the MLS has tried way too hard to “Americanize” the game. They have two divisions, a playoff system, and a draft to make football seem more like the NFL and baseball. This process has alienated traditionalists who watch European soccer and truly love the game. The quest to make money and expand the game has also seriously hurt the on-field product of the MLS. Expansions to Portland and Vancouver for this season may help the game financially, but it seriously waters down the talent. The MLS needs to make sure the current clubs can field decent sides before expanding to new cities. So there you have it. The way into the heart of the American public isn’t to try and force the game down our throats by making it cheesy and “Americanized,” it isn’t by making us sit in the boiling sun, it isn’t by making it easier for below average players to get on the pitch. It all starts with what is on the field and as of right now, it isn’t good enough to catch on. I sincerely apologize for not posting the roundup yesterday, been quite busy with University stuff and such. Moving on, there as usual, are interesting transfer gossip, speculation, rumors and news surrounding the Gunners. Without further ado, here is the Arsenal Transfer News Roundup. 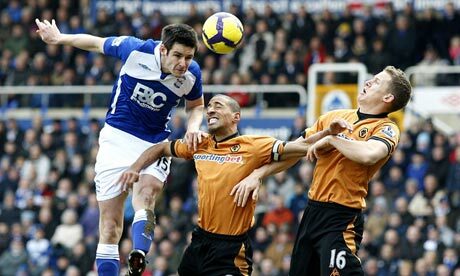 According to various reports, the Gunners are considering launching a bid to sign Birmingham defender, Scott Dann and will make a bid of around 10 million pounds for his services. The report also states that the Gunners will check on the defender, to see if he has recovered from his hamstring injury that he suffered last season, before making a bid. I've always rated Scott Dann, who's known for his toughness, aerial ability and composure, and he looks financially viable as he's reportedly valued at around 12 million pounds. According to Turkish reports, the Gunners are interested in launching an 18 million euro to sign Galatasaray star, Arda Turan. The reports suggest that Wenger will go for Turan, if his bid for Juan Mata fails. Turan, in my opinion, is an excellent player who should left to a top league, long ago. He's a skillful, creative, versatile and tricky player, with a strong character and leadership qualities. Turan would be an excellent signing for the Gunners. 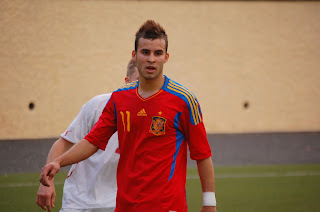 According to various reports, Arsenal are closing in on Spain's U-17 star and Real Madrid player, Jese Rodriguez, who recently won the Player of the Tournament in the U-17 World Club Championship. Rodriguez is known as a player with excellent technique, hard-working, powerful and creative, who plays as a central midfielder. He's highly rated by Real Madrid and has a bright future ahead of him. Earlier today, young Arsenal central defender, Kyle Bartley, signed a new long term contract with the Gunners and has returned on loan for the rest of the season with Rangers. Bartley, was expected to finally play first team football with the Gunners this season, after two loan spells with Sheffield United and Rangers. This most likely means that Wenger is going after a new central defender this summer. I was really hoping that Kyle Bartley will play for Arsenal this season, but another loan move with regular game time, will help him in the long run and I wish him all the best of luck with Rangers. What do you think? Should the Gunners go for Dann and Turan? Do you think that Arsenal should be going for another youngster? What are your thoughts on Bartley getting loaned out again?